Could you not attend this year’s CSAE Conference? Or were there too many interesting sessions happening at the same time? 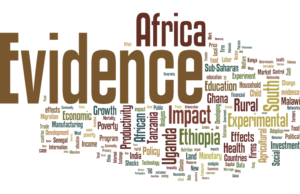 Just like last year (part 1 and part 2) and in 2015, the World Bank team at the Development Impact blog provided a solution for this, by very neatly summarizing papers and presentations into one-sentence summaries. This year Niklas Buehren, Aletheia Donald, David Evans, Markus Goldstein, Michael O’Sullivan, Sreelakshmi Papineni, and Julia Vaillant have summarized an impressive 87 papers, from a large number of sessions. Read their one-sentence summaries on the World Bank Development Impact blog. Over the next days, you can expect more discussions of papers by CSAE DPhil students here on the CSAE blog, among other things, about what we learnt about the economics of domestic partner violence, firms and the future of aid! This entry was posted in CSAE Conference and tagged OxCSAE2017. Bookmark the permalink.